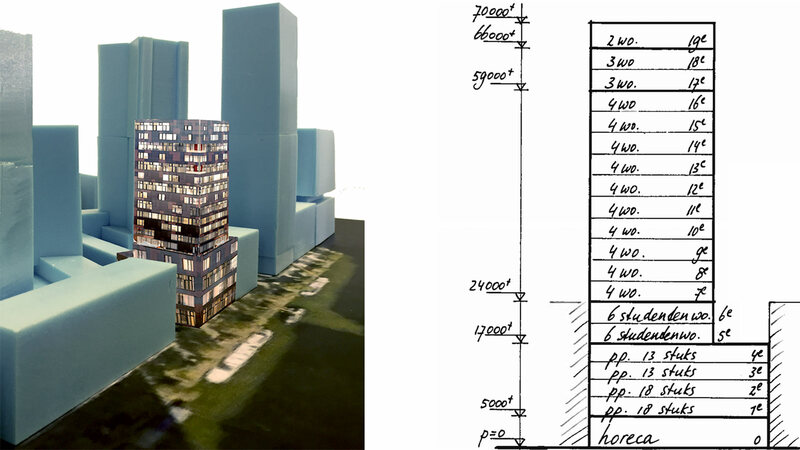 On the initiative of PEÑA architecture and Alsemgeest Design & Build has done a study on the development of the Scheepmakershaven Tower (Tower SMH). This plan fits in the area improve Scheepmakershaven. Scheepmakershaven located in Wine Harbor area, which together with the Leuvehaven, Wijnhaven and Old Port part of the Maritime District. Here, in recent years several high-rise towers built. The Maritime District is an “all the buttons” area: convenient location, nostalgic bridges, shiny flats and prosperous and enterprising residents. It perfectly represents the Rotterdam cityscape. In Scheepmakershaven chosen for neighborhood renewal based on a kind of acupuncture approach pinpricks in the form of initiatives in streets and neighborhoods. No area development, but improvement area. 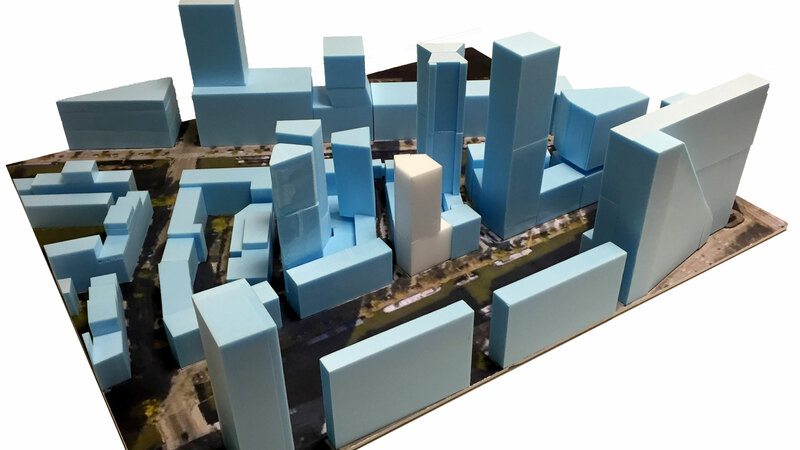 The purpose of the SMH Tower proposal is to increase the density in the area and to anchor the public functions at ground level in the area. To enhance the effect is the slenderness of the tower is essential. 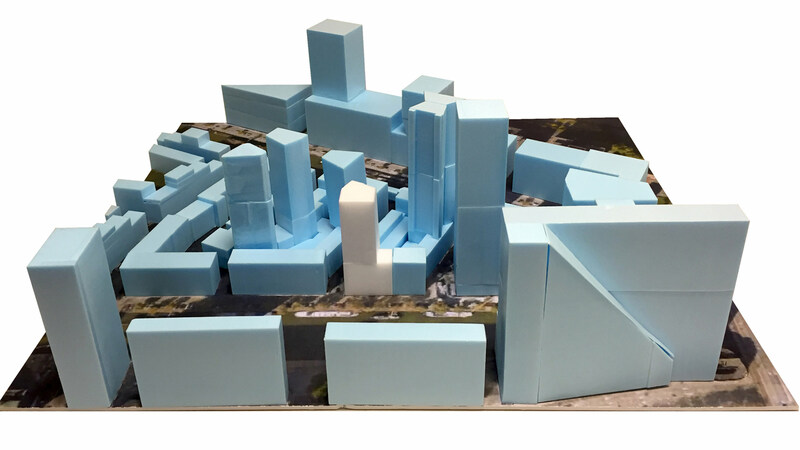 Based on the urban planning is a five or so basic principles drawn up further elaboration of the proposal for the SMH Tower. 1- The skirt must be connected to the other buildings. 2- Building in the building line, like other already realized towers. 3- The height of the tower is in relation with the surrounding towers. 4- The shape of tower is in relation to other towers. 5- Shadow area reduction of surrounding buildings. Accurate analysis has led to a variety of surfaces for housing the target group. The SMH Tower has a total of 60 apartments and two large hospitality areas. 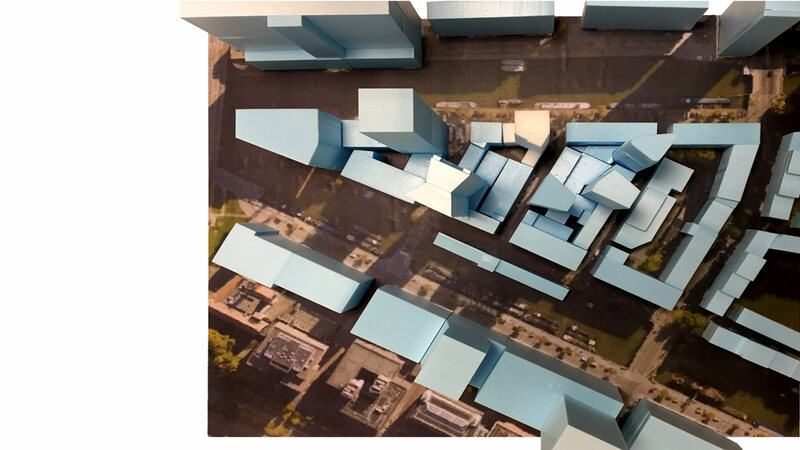 The number of square meters of apartments ranges from a minimum of 43 sqm to 170 sqm. The small apartments (12 units) have a shared garden of 130 sqm. 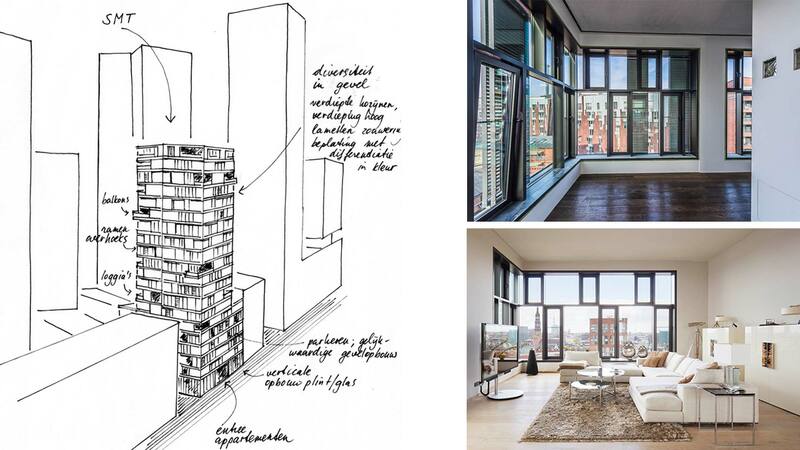 The large (48 pieces) and luxury apartments (8 pieces) have a loggia or terrace / balcony. All apartments on the ground floor and a shared bicycle storage. The plan meets the high-rise regulation that sets stringent requirements on escape routes from each floor through a safe flight staircase. 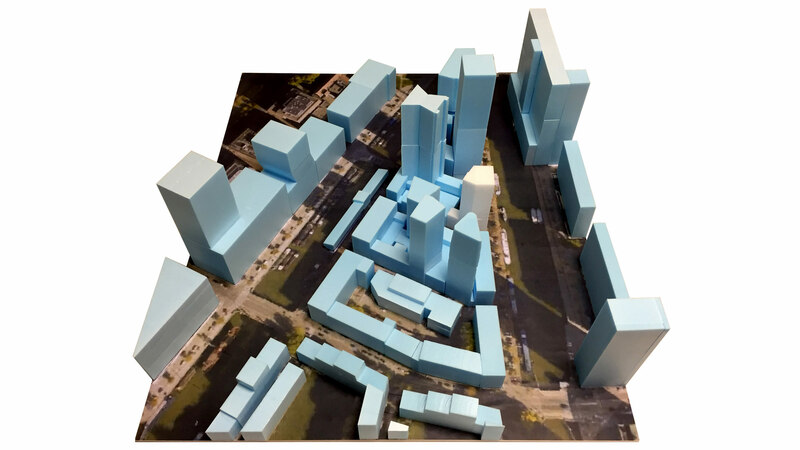 The tower has a gross floor area of 410 m² and a volume of 18,860 m3. On the ground floor, ground level, two commercial catering establishments are projected with an area of 105 m² and 225 m² respectively. These rooms have a beautiful open façade over the full height. This is done to improve the streetscape. From the windows there is a view over the water and the existing bridges. The SMH Tower has a parking space with two private car lifting. According to the parking ratio test for the 40 apartments (standard 1 space per apartment) 40 required parking spaces. 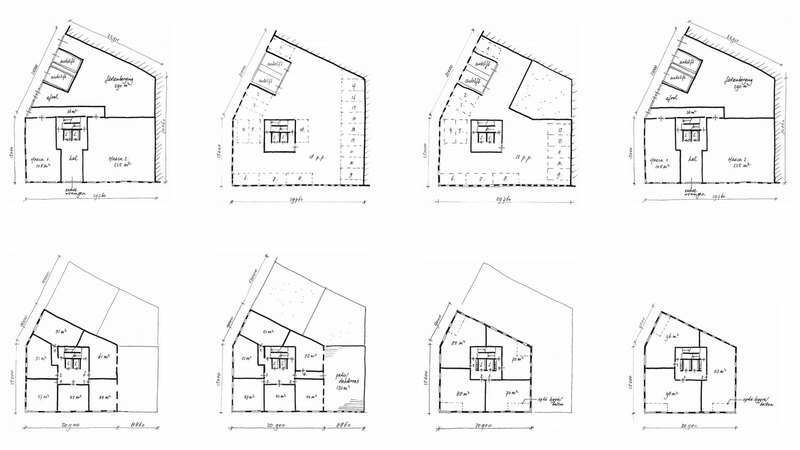 For starters, the 12 apartments (standard 0.6 parking space per dwelling) are 7,2 required parking spaces. For eight luxury apartments (standard 1.2 parking space per house) are required 9.6 spaces. Professional (standard 1.6 parking space per m2 GFA) 6.4 are required parking spaces. Total required 63.2 parking. 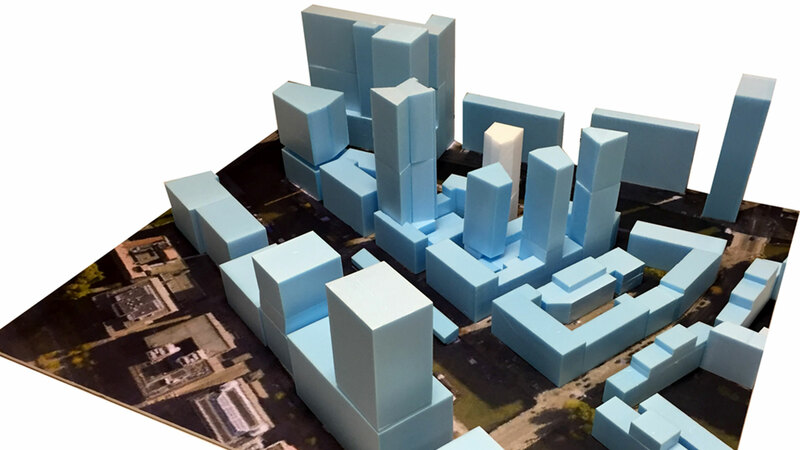 In plan includes 62 parking spaces in the building. It is assumed that there are 2 extra parking on the road in front of the catering industry. As regards the use of materials is thought to be siding made of anodized aluminum, in a playful manner, placed in a pattern of vertical glass planes. We chose this material because it can be implemented as a standard measure in the project and the amount of color possibilities is infinite. The final plating colors are not yet determined. The use of this plating is a novelty in the Wine Docklands. By applying different gradations in color the building a more vibrant appearance. It is a building of character changes with the light of day. This happens because the sunlight on the aluminum panels give colorful nuances, while on cloudy days they get a darker look. The aluminum plates can get blinds on the outside. 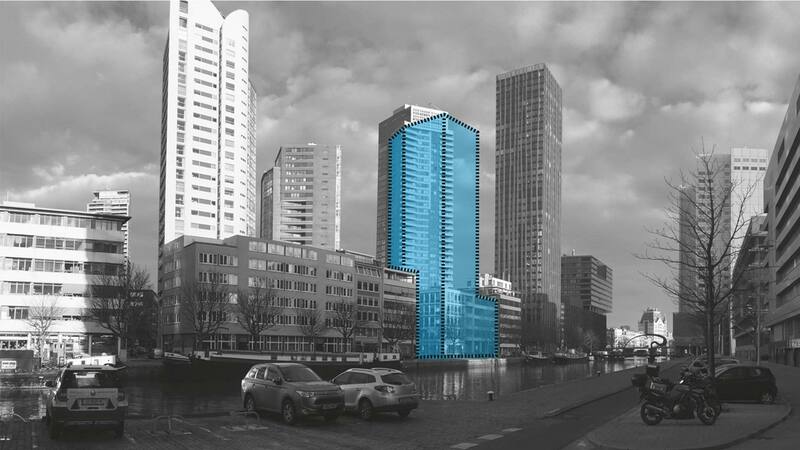 The whole forms a new, attractive addition to the city of Rotterdam skyline.